Do you want to know about your ear? Then lend me yours, as we guide you through this process. materials in the form of waves. But how does the ear help us to hear? Why do we have two ears? How does the ear work? Scroll through these pages to find the answers to these and other questions. 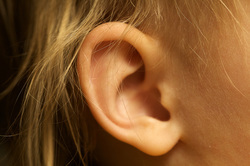 Read the article from Kids Health for a general overview of the ear. In your exercise book, explain in your own words how the ear works using diagrams to show the processes. Explain how the ear can be protected. Identify problems associated with hearing. Read the article on the Ear and write a description for each part of the ear you labeled in your diagram. What is the name given to the doctor who specializes in caring for the ear? How does your ear work? Make a flow chart that illustrates how our ears work. Be specific. Don’t cut corners and leavout important information…. Take this self-test to see how well your hearing is working. Select an animal of your choice. Before you begin check with your teacher to see if your animal has been selected. If it has, you will need to select a different animal. environment. Record any other facts, examples, or data you learned about how animals respond to sounds in their environment. You will then decide on how you will present your information to the rest of the class. ~Dogs can hear 2 to 5 times better than humans can. Why is that? ~At a temperature of 20 degrees C sound travels 350 m/s. As the temperature rises, the speed of sound gets faster. How can that be? ~Sound is measured in units called decibels (dB). The human ear can hear as low as 0 dB. A human whisper is 10 dB and a rocket pad launch is 180 dB.